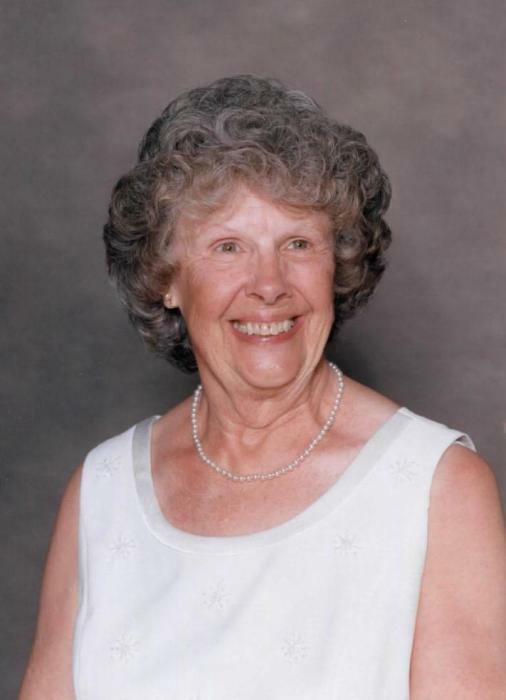 Dolores Clark Taunton, 83, passed away on Tuesday, April 9, 2019 at Vidant Edgecombe Hospital in Tarboro, NC. The family will receive friends on Sunday, April 14, 2019 from 2:00pm to 3:00pm at McDougald Funeral Home and Crematorium, Laurinburg, NC, followed by a graveside service at Pine Crest Cemetery, Gibson, NC. Dolores was born June 24, 1935 in Richmond Mill, NC to the late Edward and Ruth Clark and attended Laurel Hill School where she was Salutatorian of her high school class. In 1952, she married Harold Dean Taunton, Sr. and served by his side as a devoted pastor’s wife for 53 years throughout Alabama, North Carolina, and South Carolina. During these years, she also worked at Belk, J.C. Penney, and Carolina Telephone. They retired to Greenville, NC in 2006. Along with her husband of 66 years, Dolores is survived by two sons, Harold Dean Taunton, Jr.(Kathy) of Raleigh, NC and James Grant Taunton (June) of Greenville, NC; Grandchildren, Jameson (Brooke) Taunton, Sandy Taunton, Jared (Nina) Taunton, Jordan (Ashton) Taunton; great grandchildren, Camden Taunton and Turner Taunton. Arrangements handled by McDougald Funeral Home and Crematorium, 305 E. Church Street, Laurinburg, NC 28352.